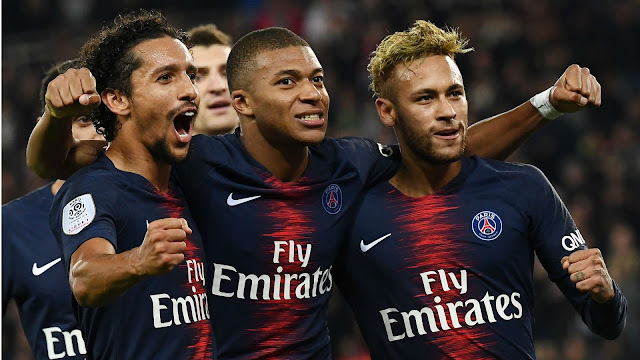 Paris Germain head coach Thomas said Kylian Mbappe could have scored seven goals after the teenage sensation ran riot by netting four against Lyon. It was the Mbappe show as the 19year old forward scored four times in PSG's 5-0 rout of Ligue 1 rivals Lyon at Parc des Princes on Sunday. Mbappe netted four goals in the space of 13 second-half minutes no other player having scored four goals in a single Ligue 1 match quicker over the last 45 seasons. The France international and World Cup winner also became the youngest player – at 19 years and nine months to score four goals in one game in the same amount of time.